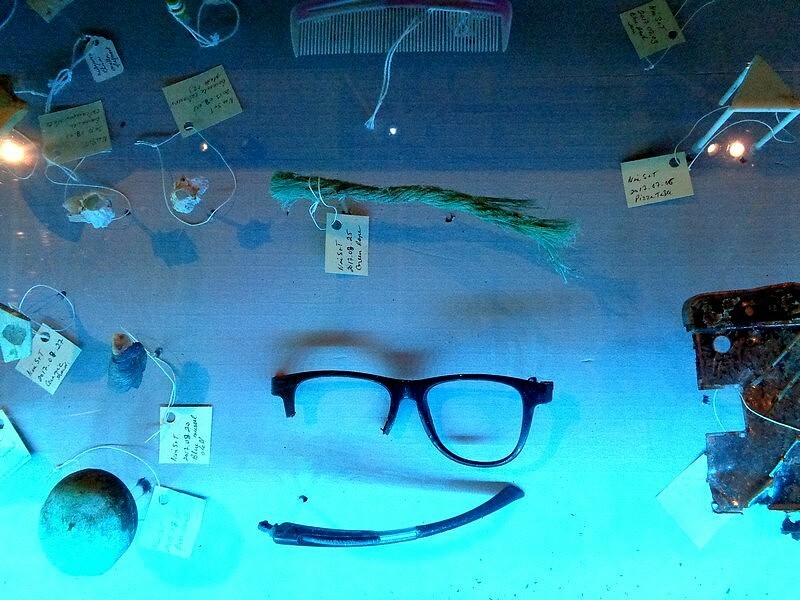 A display at the Maritime Museum in Halifax… items found after the explosion of 1917. Many people were blinded so the glasses, especially touched me. I agree with Leslie – curious indeed! Crime scene evidence? An archeological dig? Pray tell! Yes, a museum display in the ‘Halifax Wrecked’ exhibit. However… something I’m noticing for the first time (and how I missed this while seeing it in person I don’t know) is the ‘pizza tab’ on the right. I mean, it’s MARKED ‘pizza tab’. What could this mean? Surely not that there was pizza delivery in 1917. I feel like I’ve missed something about this exhibit… possibly a mash-up of old items and new on some more recent dig? My own curiosity mightily piqued now… sending a note to the museum along with this pic. Dr. Watson … code blue!!! What a mystery here presents itself. Wonderful. I thought I knew… but fast food discovery has uncovered the need to pursue excavation of details. I’ll keep you posted! I’ll be on the edge of my office chair! My eyes were pulled to the glass frames and my first wonder was whether the surrounding debris was evidence of your aggravation trying to choose a pair of glasses. Took me another second to see the tags and realize this was something else.